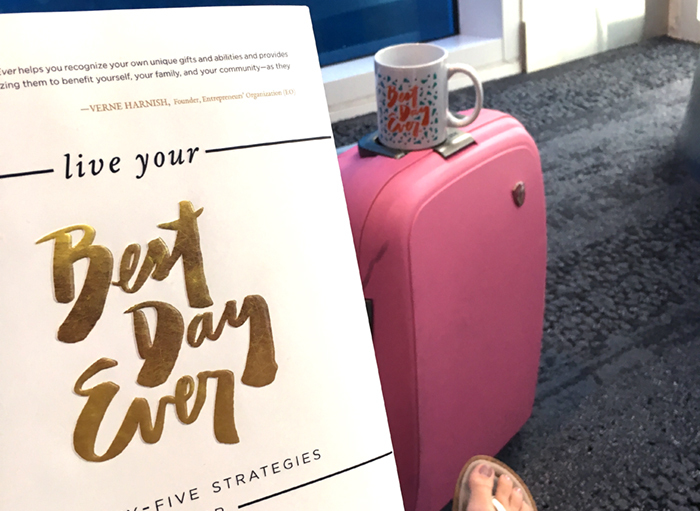 I recently took a trip to NYC to promote my new book, Live Your Best Day Ever, and to talk about why creativity is essential. Naturally, that meant making lots of bath bombs and soap on camera. I most recently visited NYC last fall for the NYC Gift Show. Going there in the middle of summer is everything you’ve ever heard it could be (warm and uncomfortably humid). Getting to NYC is a bit of a trek, so the team and I made maximum use of every moment. Media prep started at 6:30 a.m. and didn’t let up. 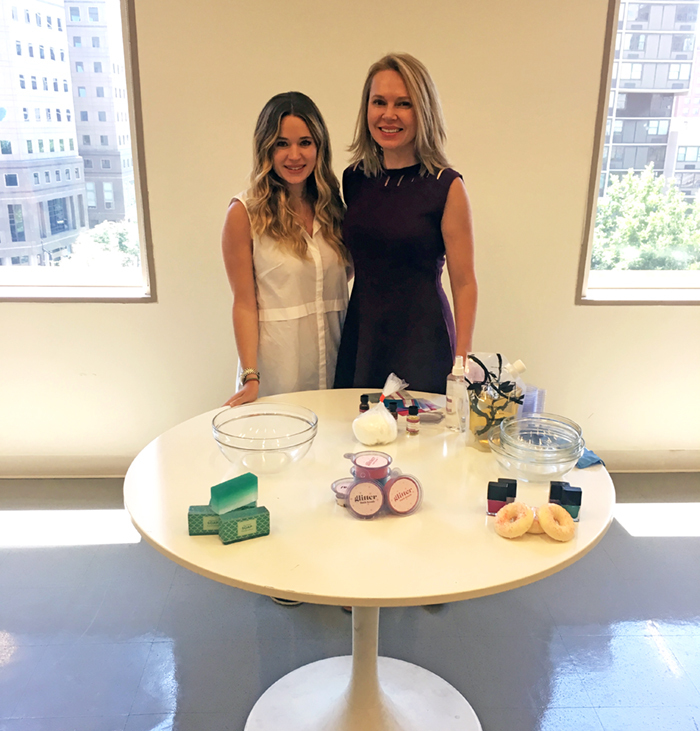 Another highlight of the trip was a visit to the Buzzfeed offices, where I demonstrated making Glitter Bath Bombs, Mermaid Soap, and Doughnut Soap. Their offices are really (really!) cool. It was great to see their digital media set-up, and to see how fluid they are with their production. I was impressed by how they put everything together to make their adorable short videos. It got me thinking about doing more on-the-fly videos, and how we might replicate their set-up. People Magazine was another highlight. Their offices are beautiful and are in a vibrant part of town near the World Trade Center. They had a lot of security in their building. I ran into Dave Asprey (the Bulletproof Executive) while I was there and, of course, gave him a copy of my book. I did a Facebook Live video for People Style, and it was intriguing to see their set-up for how they film and light the stories. Like at Buzzfeed, I came away with inspiring ideas for doing video for Bramble Berry with more ease. Another highlight of the trip was interviewing with ABC Radio and meeting David Muir, the anchor of ABC News. For the record, he is even more handsome in person. The radio interview was the appearance I was most nervous about because it was solely about the Best Day Ever book and it was just me, the host, and the mic. There were no bath bombs or soap to make. That interview won’t air for three weeks, so I’ll be waiting anxiously. If you ever have back-to-back media interviews scheduled, I have a few tips based on this experience that may make it easier for you. Each outlet has a unique point of view. Make sure to speak to their audience. 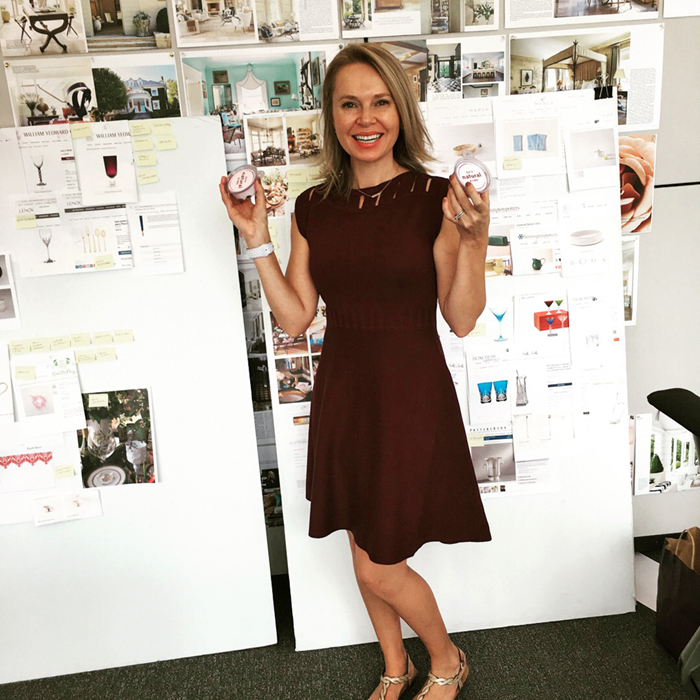 For example, when I met with House Beautiful magazine, we talked about the difference between what you might display and want to see in a bathroom for children versus the master suite. In contrast, NY Parents Magazine wanted to know what natural options Bramble Berry has for its readers. Stamina is your main ally. It is difficult to explain how exhausting and exhilarating back-to-back media interviews are. Emoting (being “on!”), staying on-message (not rambling is harder than you think), and speaking in sound bites can take its toll. Make sure you’re well rested and don’t party the night before. Be flexible. When it becomes clear that a message isn’t resonating, confirm and pivot: “So, it doesn’t sound like this is a good fit for your readers. What if we did something like this? How about this angle?” Ultimately, you want to be of service to the news media you’re talking to. If you’re not finding a way to connect to their audience, you’re not helping them and you’re not helping yourself or your message. Be prepared for anything. I had at least an idea about what I would be talking about at each media outpost (see point 1), but I wanted to be ready to pivot (see point 3). So, I brought triple quantities of everything I thought I would need in samples, kits, and demos. I am glad I did because I ended up using everything except a single Beard Oil Kit. Whenever something was going great, I was able to just naturally flow to the next kit. For example, on CBS, the host was so into the crafting and making that she asked, “What do you have next?” I was able to pull out our Nail Polish kit and make nail polish with her on the fly. She even painted her nails right there on set! Overall it was an amazing trip! If you want to keep up with my media appearances, latest projects, and everyday life, follow me on social media. You can find me on Instagram and Twitter. 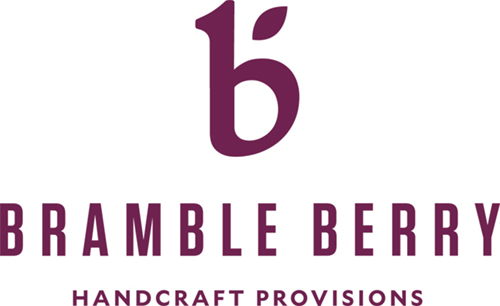 Bramble Berry CEO and Founder Anne-Marie was recently featured on the Hallmark Channel. Learn more about her experience on the Home & Family show below. It’s been a whirlwind two-week period. 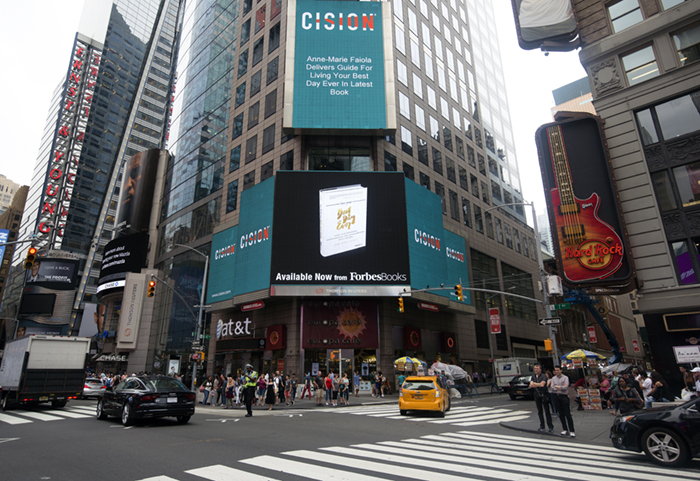 My book, Live Your Best Day Ever, officially launched June 20. Writing the book took almost two years, and after the bulk of the writing was done, there was editing, revisions, grueling rewrites, and more editing. Now that the book is out, the work transitions from writing to telling people I wrote a book. There are a lot of books out there and getting your book to stand out requires small, incremental daily efforts that sometimes lead to giant leaps forward like the Hallmark Home & Family Show. It was such an honor to be invited onto the show to talk about creativity as a journey and how creativity has been essential in my life. After all, it’s what gave me both solace and the courage to leave my job as a correctional officer and launch into the world of entrepreneurship. 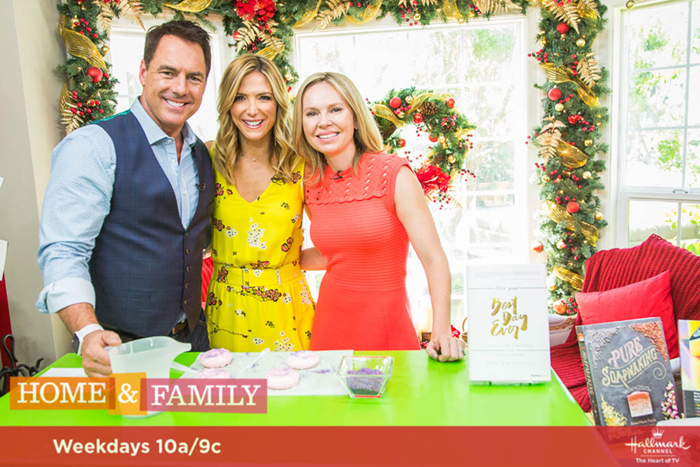 Home & Family loves to celebrate the holidays all year round so we came up with a fun way to showcase the work I do at Bramble Berry and also touch on my new book, Live Your Best Day Ever. You can watch the full clip here. First, we talked with the producers about a project we could showcase that their viewers would find interesting yet not too daunting to make themselves. The sweet spot is inspiring would-be crafters to make their own soap, not to make them think, “Oh, that’s too hard. 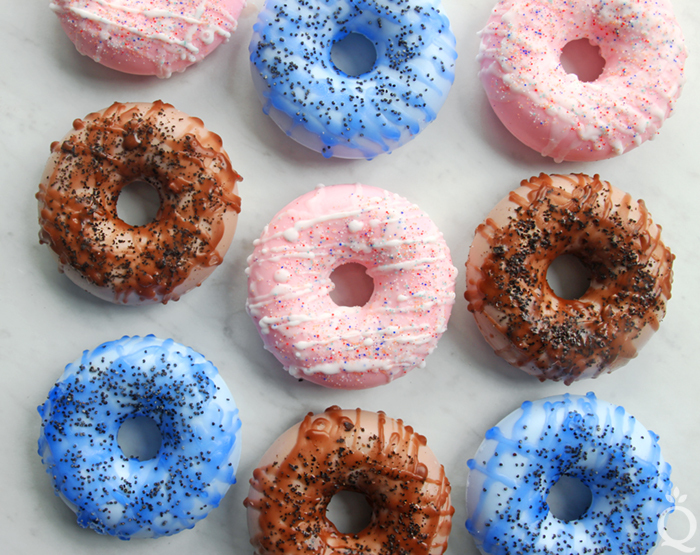 I could never make that.” After many rounds back and forth, we settled on a project from 2014: Doughnut Soaps with eco-friendly jojoba bead sprinkles. We knew it would be aggressive to fit that project into the segment and talk about the book in the time allotted, but we were feeling ambitious! Los Angeles traffic was something amazing to behold. I’m so thankful I flew in the day before filming, because it took me over 2 hours to get from the airport to Studio City, just 14 miles away. I got the last hotel room in a small sweet budget hotel that had a bodybuilder convention and a Japanese anime comic convention there at the same time. The Japanese anime fans knew a surprising number of the ‘famous’ bodybuilders. It was a cool and surreal lobby experience; truly L.A. The next day, I checked in with the guard on set at 8 a.m., fresh-faced with no makeup on. As I made my way under the famous Universal Studios arch, my breath caught in my throat. This was where all the movies get made! 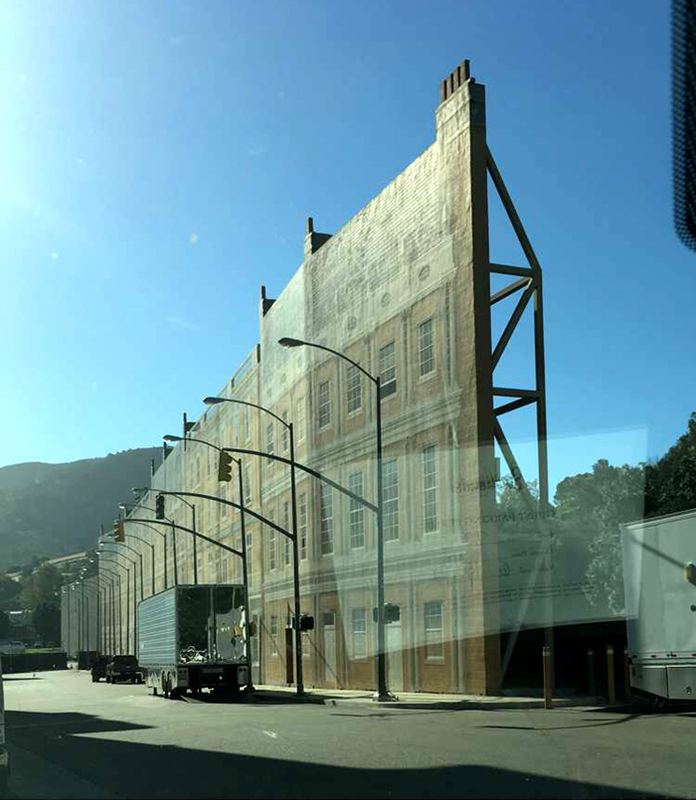 Continuing the surrealness from the night before, I drove past empty, quiet sets on my way to the Home & Family set house. There were entire ‘abandoned’ towns; huge massive fake walls erected to look like towns; cavernous sound studios; and, of course, golf cart buses of people with cameras touring the lots, hoping to catch a glimpse of a star or two (not gonna lie; I wanted to see one too!). The entire crew on the set was friendly, welcoming, and kind. They directed me to my trailer (squeeee! a trailer!) and I set down my suitcase with its multiple outfits and wandered down onto the set to make sure all the ingredients had arrived. Before I knew it, I was in rehearsal, and then there was a camera on…and that’s when I learned that you should never (ever) leave the safety of the trailer without makeup on. If you’ve seen the clip, you’ll notice there was some footage shot ahead of time. I look decidedly not polished and a little disheveled in that b-roll footage. Mostly I was thinking, “Oh my goodness, I’m not wearing any makeup! I hope they don’t show this!” Of course, that footage did make the final cut. Haha. We were busy all day. I had time to grab a quick bite to eat from the (amazing) catering truck they had set up for the cast and crew, but other than that, it was very go-go-go. I was part of the ‘audience’ during the show and very much enjoyed seeing how much work, energy, and effort goes into making a show as well done as Home & Family. Because Home & Family is a ‘live to tape’ show, which means that they film the entire thing as though are live the entire time. So between each segment, the cast and crew move locations, and they do it as though they only have the 2 minutes for the commercial break to get set up again. This also means that if earlier segments go even a squosh longer, they need to cut it from the end…which ended up being my segment, just a bit. When it came time to roll camera, it was 3 p.m. and my segment was down to 4.5 minutes. We didn’t have time to rehearse or talk about the new game plan. It’s so great that hosts Debbie and Marc were amazing on their feet (they’re such pros) and were able to go with it on the fly for the newly shortened segment. I’m delighted with how it came out and am so thankful for the opportunity. If you ever get an opportunity to tape a quick, live segment, learn from my experience. 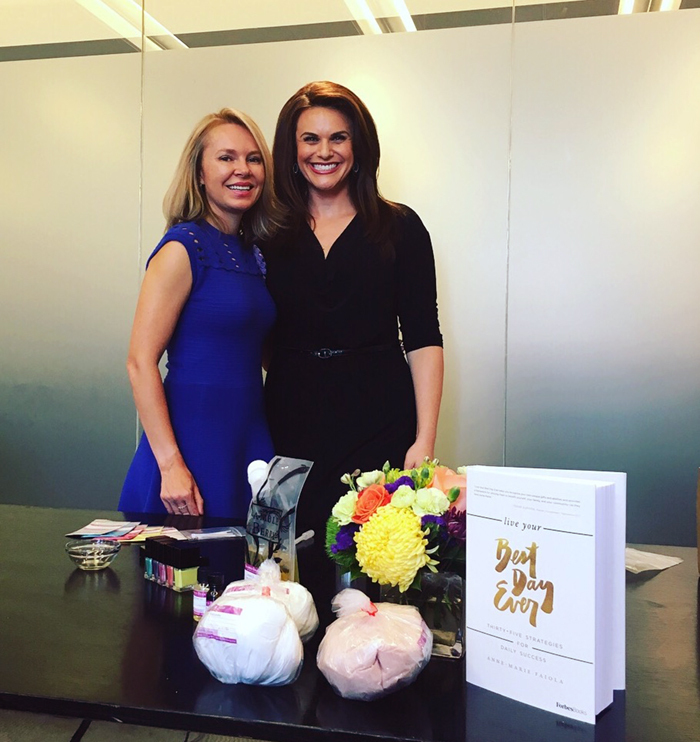 I have some tips based on how it went for me to help make your time on-air a success. Come up with phrases or talking points in advance, ones that you can always fall back on. For example, I wanted to be able to say two things that I deeply believe: that creativity is essential and that handmade is best made. So, no matter where the interview went or if I completely flubbed everything else up, I knew I had those two things to fall back on. 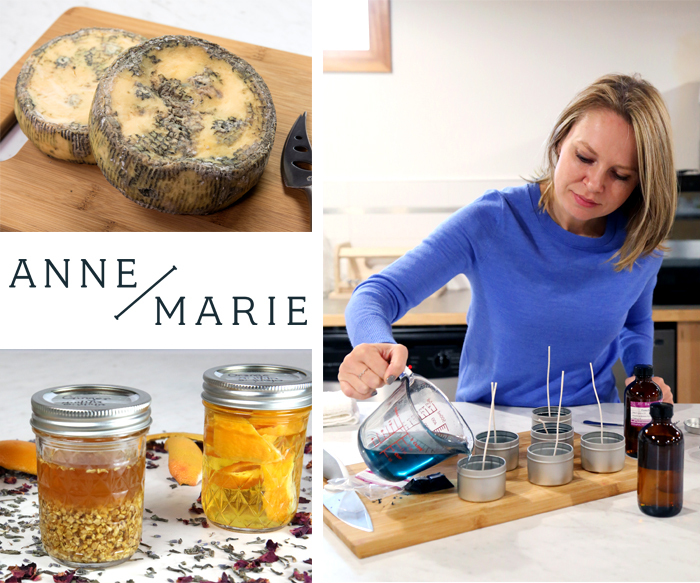 So if you, have a small business that makes handcrafted products, two key points for you could be around the quality of ingredients and how your business supports the local economy. Be happy, smile, and roll with it. Being on TV can be stressful. There’s a lot going on and it’s really fast-paced. Always remember to smile, no matter what. Be genuinely joyful about what you’re there to talk about. In my case, it was a project I had invested two years of my free time to – penning life lessons in the Best Day Ever book – and I also got to showcase my favorite activity at the same time. Even with that, the shortened segment heightened the stress. So taking a deep breath, remembering the “why” of why you’re on the air, and smiling comes across much better on camera. The host is the expert; let them shine. If you’re on a talk show, or on any medium that has a host, that host will be better than you at the actual TV part of things. Yes, you are the subject matter expert, but the host keeps the entire thing rolling. Take your cues from them and don’t try to control the conversation. They’re watching the clock and they know what they want to talk about. Always be camera ready if you are on set. You never know when a camera will be on you so arrive on set with your game face on, some make up and your hair done. As I alluded to earlier, I didn’t do this and I learned my lesson. Rehearse. If you get the opportunity to be on camera, rehearse what you want to say with family, friends and the producers of the show. 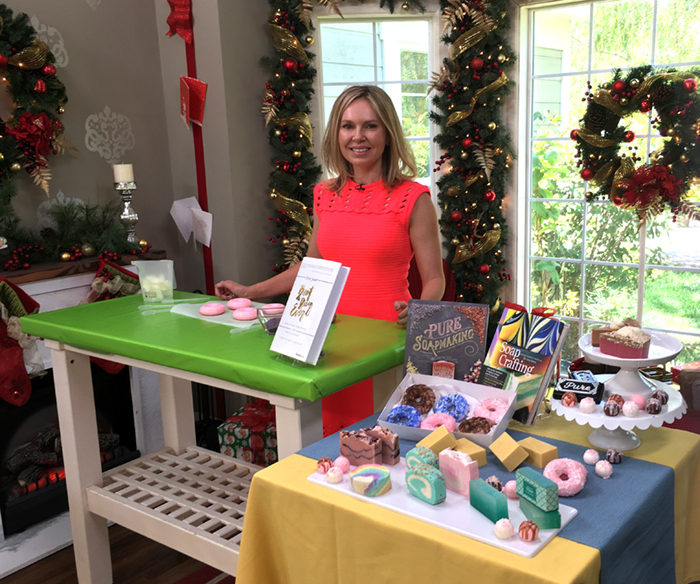 I felt silly, alone in my trailer reviewing the 90 seconds of “here’s how you make doughnut soap” in front of the mirror but I believe that’s one of the reasons that the segment went as smoothly as it did. The segment went so fast that I didn’t remember one single thing about it until I watched the show on the next day. Thank goodness I prepared!